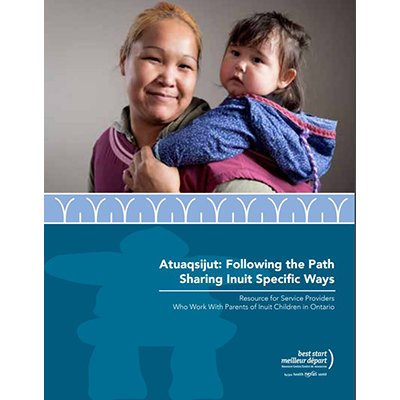 This resource in English was designed for service providers who work with biological, foster, and adoptive parents of Inuit children aged 0 to 6 years old, including early childhood educators, social workers, maternal and child health workers, public health staff, community workers, health care providers, and hospital staff. Inuit cultural values and beliefs. Impact of colonization and intergenerational trauma. Inuit knowledge and wisdom about pregnancy and parenting. The information can help service providers reflect on and improve their services to Inuit families.